London, UK: For the third time in seven years, producer Paul Epworth carried off the top gong at the Music Producers Guild Awards, which took place last night at the Park Plaza Riverbank Hotel in London. 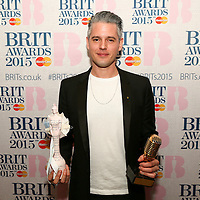 Epworth, who has recorded numerous artists including Sir Paul McCartney, Adele, Florence and the Machine, Coldplay and John Legend, was handed the MPG's Producer of the Year Award for 2015 – an honour that he also won in 2010 and 2013. 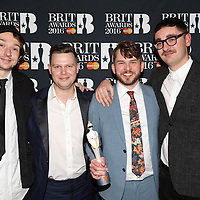 As its recipient, he automatically received the 2015 BRIT Award for Best Producer, which was presented by BPI CEO Geoff Taylor. 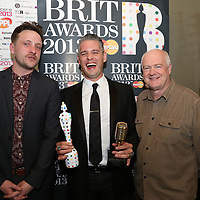 UK Producer of the Year, sponsored by The BRIT Awards 2015 with MasterCard: Paul Epworth • Outstanding Contribution to UK Music, sponsored by PPL: Dave Stewart Recording Engineer of the Year, sponsored by RØDE: Mark Rankin • Mix Engineer of the Year, sponsored by Solid State Logic: Mark ‘Spike’ Stent • Mastering Engineer of the Year, sponsored by Apollo & Transco Blanx: Mandy Parnell • UK Album of the Year, sponsored by Universal Audio: Goldfrapp – Tales of Us • UK Single Song Release of the Year, sponsored by Shure: Sam Smith – Stay With Me • Re-mixer of the Year, sponsored by G-Technology: James Rutledge • Breakthrough Producer of the Year, sponsored by Musicguard Insurance: Tom Dalgety • Breakthrough Engineer of the Year, sponsored by Alchemea College: Robbie Nelson • International Producer of the Year, sponsored by Lewitt Audio & JHS: Dan Auerbach • Studio of the Year, sponsored by KMR Audio: RAK Studios • The A&R Award, sponsored by Prism Sound: Korda Marshall • The MPG Award for Innovation: Giorgio Moroder • The MPG Award for Inspiration: Damon Albarn. The Music Producers Guild Awards 2014. 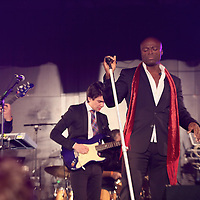 Trevor Horn and his band with guest singers Seal and Eric Stewart performed a unique set of Trevor Horn tracks. Trevor Horn winner of Outstanding Contribution to UK Music. 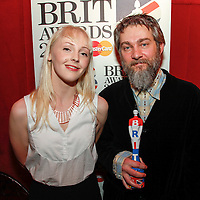 Flood and Alan Moulder were also big winners on the night picking both MPG and BRIT Awards Producer of the year awards.